Carving out time for writing isn’t easy at this time of the year. I’ve been so busy and scatterbrained that I’ve resorted to an in-tray and filing system in my kitchen to keep track of my life. Like most busy women juggling family and work, I tend to compartmentalise my commitments. Unfortunately, my juggling skills are sub-par and I’ve been dropping balls lately. 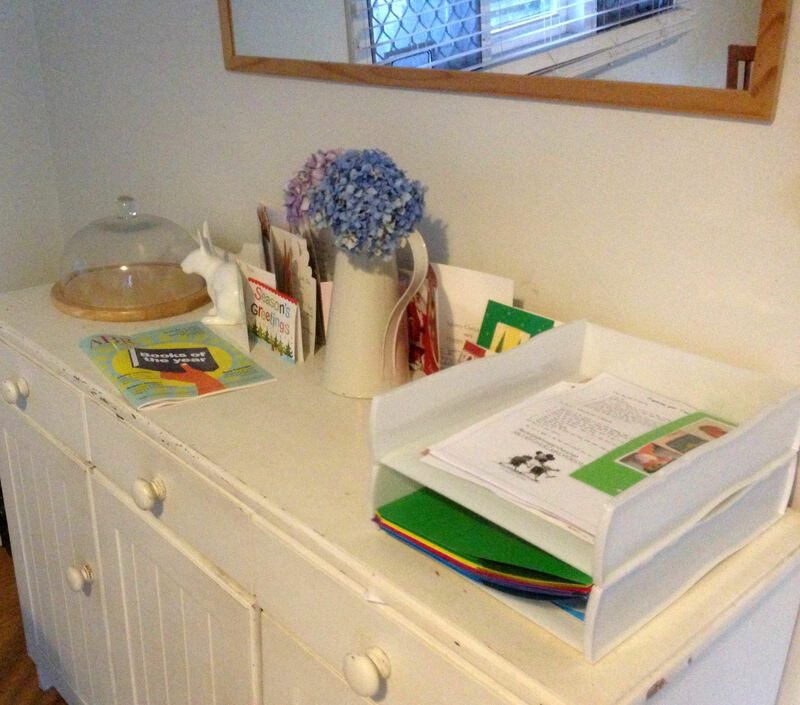 I labelled my manila folders like this: my sons’ school newsletters, excursion details etc; medical and dental; piano lessons; bills and banking; social commitments; and work commitments. See what I did there? ‘Writing’ did not get a guernsey. Unfortunately, my favourite hobby is the first thing to go when things get hectic. So, I’m here, carving a space, feeling less well-oiled than ever. I am first and foremost, a mother, partner and friend, and the well-being of my loved ones trumps all else. My paid job is important work too, and must take second tier. But I am a creative individual, and nurturing my desire to write contributes to the well-being of my family and makes me a more reflective practitioner at work. So, I am going to commit to short bursts of writing every day: ten minutes, minimum. I know it doesn’t seem much, but starting small is always a good idea. Exercise and healthy eating are integral to managing all of the above. I haven’t yet nutted out my specific goals, but I know that I want to return to my novel, and I want to write some more short stories. I’ll get back to you on that front, because I know that achievable, ‘smart goals’ are important. 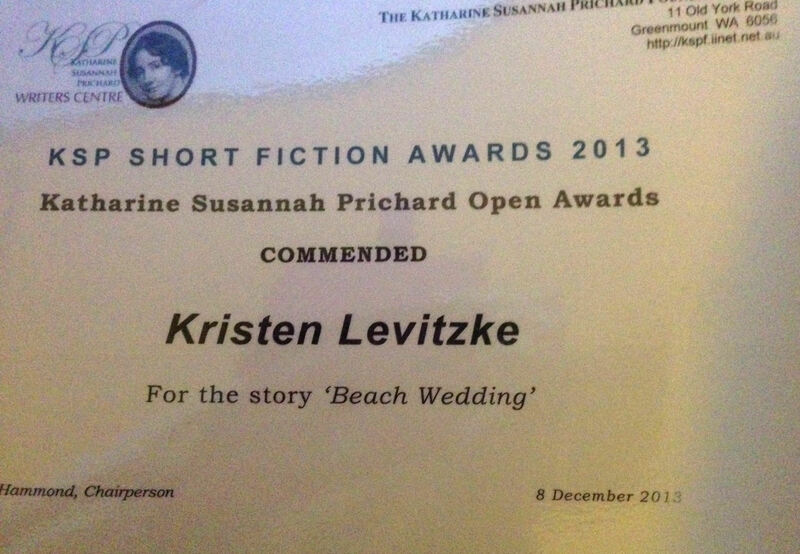 There were 91 entries in the Open Section and I felt truly honoured to be named amongst writers such as Robyn Mundy and Annabel Smith. I am very grateful to my loyal and loving cheer squad (aka my writing group) who brought along noisemakers and blew them loudly when my name was announced! Thanks to Emily, Louise and Glen. A big congrats to Glen Hunting whose story, ‘Trolley Boy’ was commended in the Speculative Fiction section. Another big thanks to my very supportive family. My mum, dad, grandmother, hubby, gorgeous sons and best friend (who happens to be over from Melbourne) all came along to support me. My very own Curious George (my son, Lewis) managed to contain himself throughout. Well done, George.